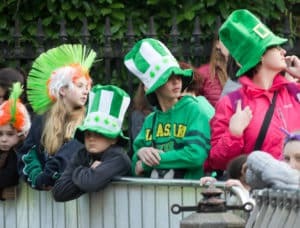 St. Patrick’s Day is right around the corner and most cities have annual parades to celebrate with traditional Irish food, events, and specialty drinks. In fact, Buffalo has its own St. Patrick’s Day parade with bands, dancers, and entertainment for everyone to enjoy. While this is always a fun time to celebrate with friends and family, this is also a day that invites the potential of excess drinking. The last thing you’ll want on a fun day of celebrating is to be involved in an accident that could have been prevented, so from our team at The O’Brien Law Firm, we hope you have a safe holiday weekend by following these tips. If you know you’re going to be partaking in drinking a traditional green beer or Irish whiskey, you should do so responsibly. Moreover, keep in mind that police officers will be on the lookout for drivers under the influence and people that may have had too much to drink. Knowing what to expect and planning ahead will allow you to have a good time while still being safe. Events usually bring in large crowds ready to celebrate and those people can be rambunctious. Crowds of people bring in the potential that you may trip, slip, and/or fall due to the negligence of another or business establishment. Furthermore, crowds of rowdy people can lead to being shoved or pushed causing injuries. You can try your best to keep to yourself with the people you’re with, but it is practically inevitable that you will find yourself side by side with strangers. When you find yourself in a predicament, make sure you remain aware of your surroundings and even more cautious of people, things, and potential dangers around you. When you’re going to be around a lot of people with alcohol free-flowing, you will likely see someone that has had too much to drink. If you ever fear that someone else is in danger or see an intoxicated party-goer getting behind the wheel, New York has enacted a 911 Good Samaritan Law that will allow you to contact police without fear of retribution. This can help prevent accidents, injuries, and death. Under most circumstances, this law provides that even if you are in possession of alcohol, you will not be charged for notifying police of someone that may be in peril. This law came into effect to encourage people to help others without fear of being charged with alcohol possession when they are trying to help someone. If you are injured due to the negligence of another person, The O’Brien Law Firm offers free, no obligation consultations. Personal injuries can be stressful, but you can count on us to help you receive the compensation required for your expenses endured following an injury. Call us today: (716) 907-7777.